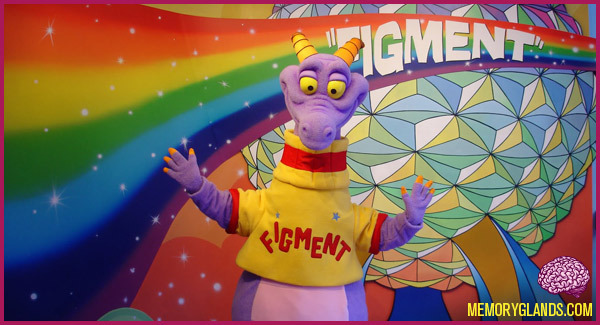 Figment, a small purple dragon, occasionally seen sporting a yellow sweater, is the mascot of the Imagination! pavilion at the Epcot theme park at Walt Disney World Resort. He is extensively seen in Epcot merchandise.